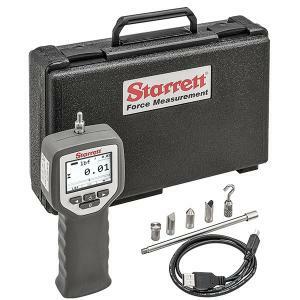 We are delighted to be extending the range of quality Force Measurement equipment that we provide to include the Starrett DFC & DFG portable digital force gauges. There are many applications where relying on large and expensive force measurement machines is not feasible or necessary. Quality assurance managers on the shop floor, or in a research and development setting, either need to be able to perform batch testing on the move or in small quantities. 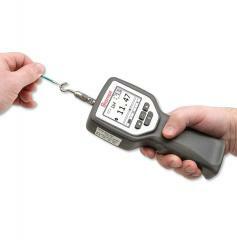 Having a device like a DFC or DFG gauge to hand greatly improves efficiency, without compromising accuracy. If a stand is required for testing then the DFC can also be used as a digital controller with Starrett's FMM Digital Force testers, specifically the L1 stand.